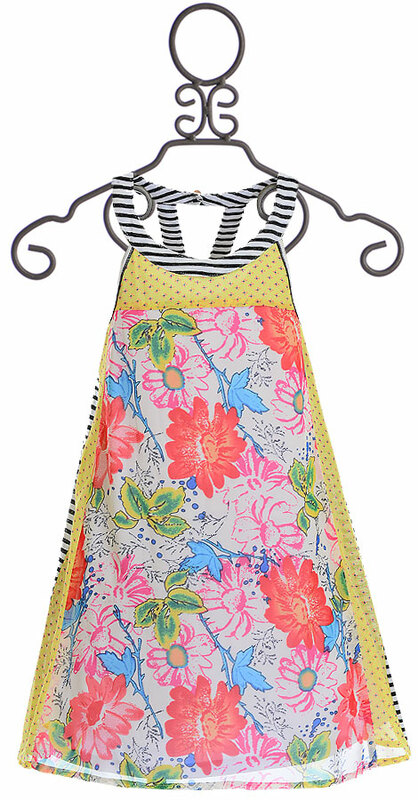 $27 - Unique and all its own, this dress from Truly Me is available in tween sizes. The empire bodice offers a wide neckline trimmed in stripes. The racerback has a cut out design closed with two buttons. The casual fit is created by the falling fabrics that are filled with stripes and flowers. 100% Polyester Shell. 53% Rayon and 47% Polyester Trim. 100% Polyester Lining. Hand Wash Cold, Lay Flat to Dry.